could be found all over the Roman Empire. to North Africa and from Portugal to the Middle East. or in stone, or even a combination of both. Turf and Timber was quick, easy to obtain, and extremely effective. 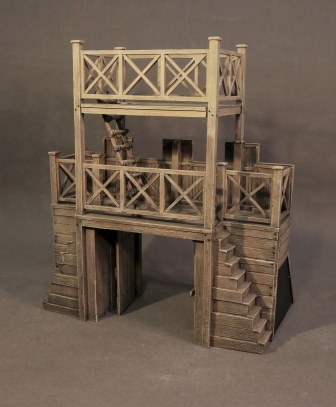 because with settled frontiers units were far less likely to move on from permanent bases. 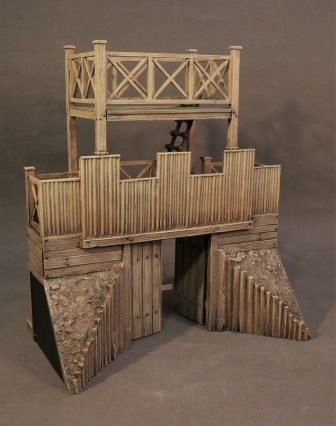 Some Roman forts could hold up to 6,000 people. a butcher shop and bakery and administrative offices. 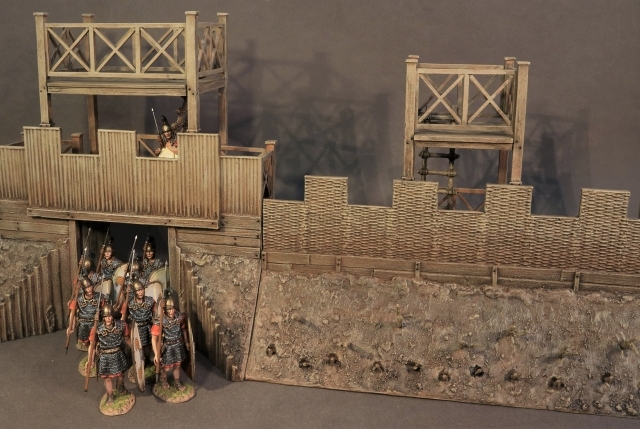 a Roman fort has been reconstructed by archaeologists. in Britain in the years during and after the uprising by Boudicca. 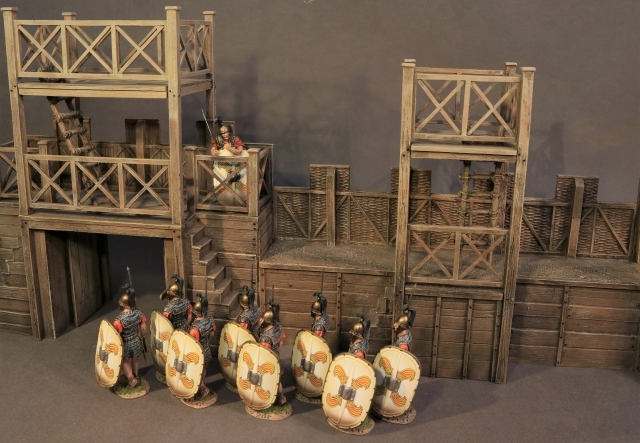 The Turf and Timber Roman fort can also be used for the Battle of Alesia displays. a major town centre and hill fort of the Mandubii tribe. against Gallic tribes united under the leadership of Vercingetorix of the Arverni. called a circumvallation, around Alesia. The details are known from Caesar's Commentaries. About 18 kilometres of 4 metre high fortifications were constructed in about three weeks . The farthest from the fortification was filled with water from the surrounding rivers. and regularly spaced watch towers equipped with Roman artillery. between it and the first set of walls. The second line was identical to the first in design and extended for 21 kilometres.